Welcome to my Scott Glenn fan site! 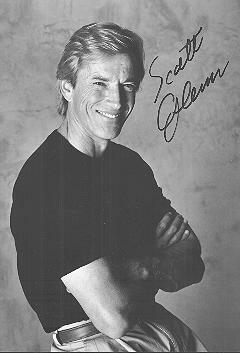 Click Here for my Scott Glenn Photo Album! 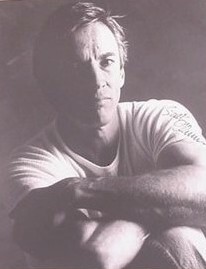 I'm also adding different pictures at the Scott Glenn Fans Club site on Yahoo. Scott Glenn has been my favorite actor for years, so I was really disappointed that he doesn't have an official webpage to let his fans know about his current projects. Navigate through the page links above to check out everything I know (or Think I know) about Scott Glenn. I have all of Scott's movies that have been released on VHS or DVD except "Larga Distancia" If you have it, PLEASE contact me!! Thanks for taking a look at my site. Please sign my guestbook and share in the forum! Can it really be true???? Scott coming to CBS in a new tv series??? Well, maybe not. See our News and Gossip section for an update! Is that Scott's voice on the promo for the new comedy/detective series "Monk" - Anybody know?